Pink Diamond Hair was born on the 1st August 2009. Bree and her team specalise in Wedding, Formals, Women , Men and children. You could say we specialise in everything!!!!!! 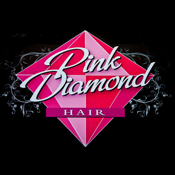 Pink Diamond Hair have been the best hairdresser and cover photo in the Canberra wedding guide 2 years running. We especialy like the different and the out of the ordinary styles but can do and try anything and evervthing. Whether it be Cutting, Colouring, foil\'s, perming or even just a blowave for a special evening Pink Diamond are here for you.